Platform bike racks are the most popular amongst those who have an SUV and are ready to spend more money for a good carrier. These racks support bicycles by their wheels and the bikes sit on top of the racks while the tires are resting in cradles. 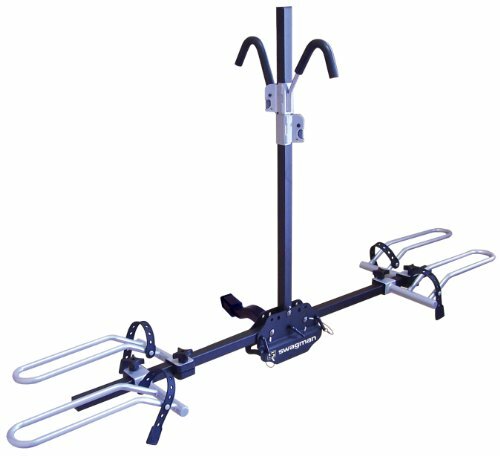 Loading and unloading are extremely easy while adjustable wheel holders allow hitch mount platform bike rack to fit a wide range of bicycles regardless of wheel size, suspension, frame or size. See a full range of platform bike racks or read more below. Platform bike racks can hold road and mountain bikes witch different wheels sizes, bikes with step-through frames, with carbon fiber frames and suspension bikes. Now, let’s review the best platform bike racks in 2018. 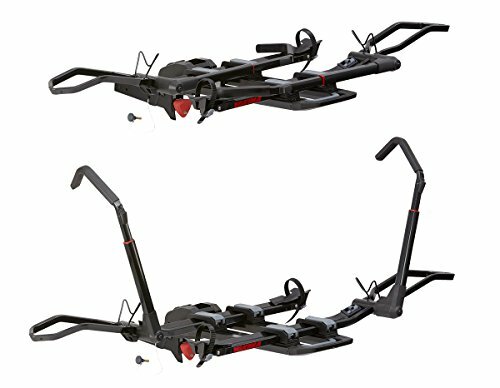 T2 Pro XT is extremely well built and it can be considered the benchmark for hitch bike carriers or by many the best platform bike rack. It is an upgraded version of Thule T2, and it has innovative features, like the remote tilt handle and tool-free vehicle attachment system. 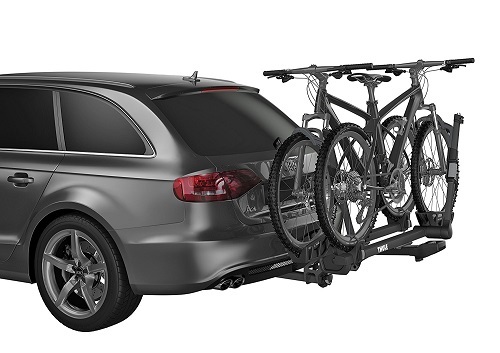 It fits 2-inch and 1.25-inch receivers and carries up to 4 bikes with Thule T2 Pro XT bike Add-on (sold separately). 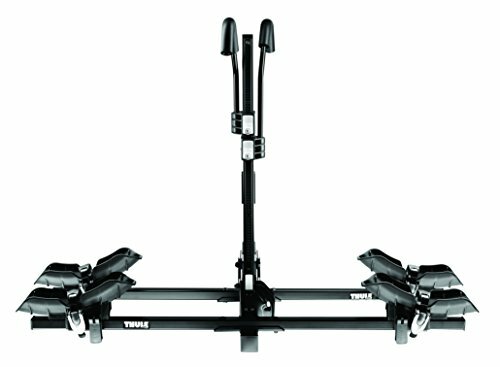 T2 Pro XT is a premium hitch bike carrier delivering maximum security, strength, and user-friendliness. An ideal bike rack for fat bikes, downhill, carbon frames and mountain bikes and fits 20-29-inch wheels and up to 5-inch tires without adapters. Kuat NV 2.0 bike carrier is well suited to carry downhill, road and mountain bikes and basically almost any type of bike. Fits 2-inch and 1.25-inch receivers and it comes for 2-bikes capacity by default. You can extend to 4-bike with Kuat NV 2.0 Add-on (for 2-inch model). Holds wheelbases up to 48-inch, and tires as large as 4.8-inch. Fits 20-29 inch tires. The Kuat NV 2.0 is considered to be one of the best platform bike rack. 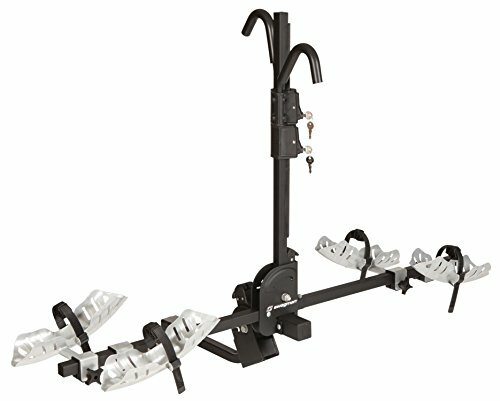 It is a lightweight platform hitch mount bike rack, perfect for a variety of bike styles. It folds when not in use and fits both 2″ and 1.25″ receivers. The distance between bikes is 10″ and the maximum bike weight 35 lb. The locks (receiver and bike locks) are included and carries 2 bikes. 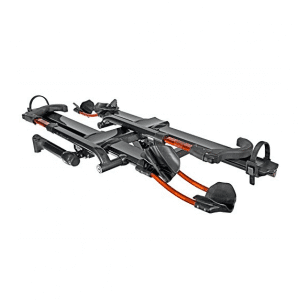 A wallet-friendly hitch bike carrier and one of the best sellers from Swagman. It is a platform-style bike carrier for 2 bikes (20 to 29-inch wheels), and fits both 2-inch and 1.25-inch receivers. XTC’s maximum load capacity is 35 lbs per bike. Folds up into a vertically compact unit. Fat bike tire trays available separately. A very good option for road, mountain bikes and fat-tire bikes with up to 5-inch tires. It provides 18-inch bike clearance between the trays while the bike tray spacing can be adjusted. you can choose between 1.25 and 2-inch options. 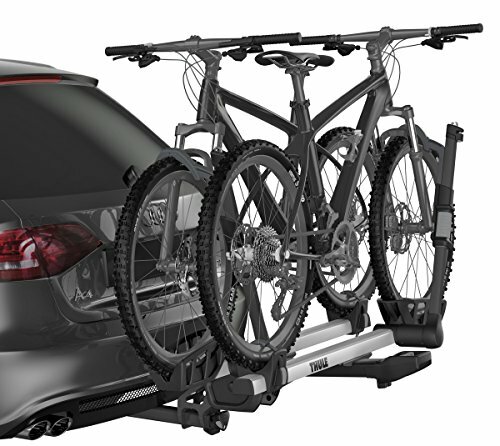 Yakima’s Dr. Tray will suit most of the users that seek a hitch mount tray rack, due to the amazing adjustability, versatility and ease of use, and providing a great clearance. 40lbs weight maximum per bike. You can add the EZ+1 to carry a third bike (sold separately). Swagman Chinook is one of the best platform bike racks through the fact that is lightweight and easy to install, adjustable and secure. It carries 2 bikes and fits both 1.25 and 2-inch receivers. Tilts down to allow access to rear-of-vehicle, even while bikes are loaded. Fits most bike frame sizes, shapes, and styles. View more hitch platform racks for 2 bikes. 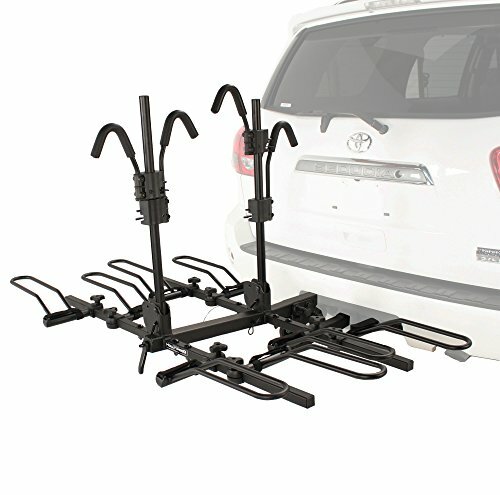 View more hitch platform racks for 4 bikes.